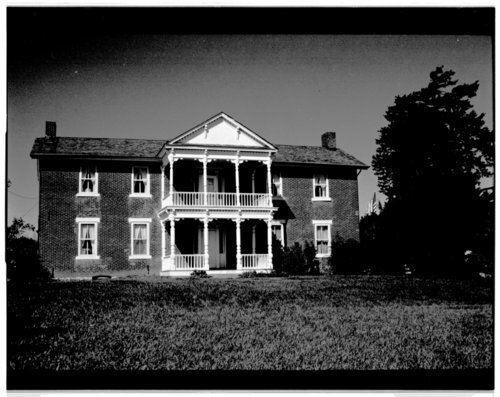 This is a photograph of Grinter Place in Wyandotte County, Kansas. Grinter Place was the home to Annie and Moses Grinter. Annie, a Lenape (Delaware), helped farm, raise poultry and livestock, and plant an apple orchard. Moses operated a ferry and a trading post, where he traded with the Lenape. Grinter Place was added to the National Register of Historic Places in 1971.